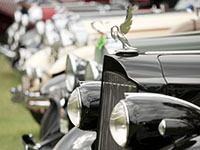 October 25-November 3, 2019: the Hilton Head Island Motoring Festival & Concours d’Elegance will bring international names in automotive collecting and racing to Hilton Head Island for its 18th annual celebration. Events include SAVANNAH SPEED CLASSIC, CAR CLUB SHOWCASE, AERO EXPO, TWO DAY FEATURES, CONCOURS D’ELEGANCE, FLIGHTS and FANCY AEROPORT GALA and the Hilton Head Auction, among others. For more information about these events or tickets, call (843) 785-7469 or go to hhiconcours.com.